Duskin Apple Juice is a small, family business run by Andrew Helbling and his daughter Susan which emerged from a diversification of the family farm. 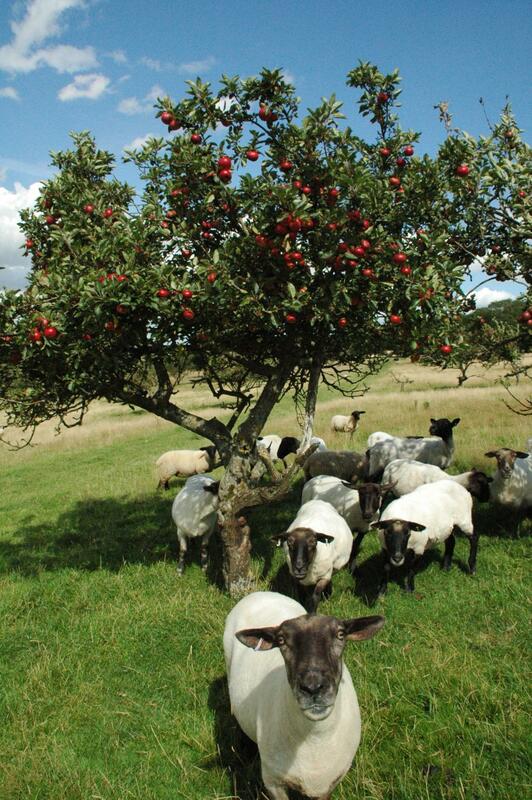 Back in the seventies, the farm had many delicious apples which were being turned down by the supermarkets for not being 'perfect'; these were fed to our sheep to stop them going to waste. The sheep were, of course, delighted but Andrew would sit on the tractor and wonder why they got all the luck. What else could we do with all this lovely produce that the supermarkets so foolishly rejected? So, ingenuity and welding irons were put to good use and the first apple press emerged. This was back in the 1980s, when the high tech, 'loads'a'money' society was in full swing. Luckily, there were also a number of small farm shops and health food stores who were more than happy to take something so unusual for the time. The process has changed very little in the intervening years. It is low-tech and low-volume which allows single varieties to be kept separate, allows the natural flavour to remain largely unchanged and 'in the bottle pasteurisation' preserves this flavour and aroma. A process initially used because it did not need expensive high-tech equipment has been continued because it gives a high quality product. A very common comment made by first time tasters is 'Oh, it tastes of apples!'. Of course to us it was obvious that it would taste this way but many people were so used to apple FLAVOUR products that it had not occurred to them that you could have a drink with an apple TASTE. That is the key with Duskin; It is the taste of a specific variety, just as you remember it.